Cure the hesitation and surge issues common in the stock CV carburetor. 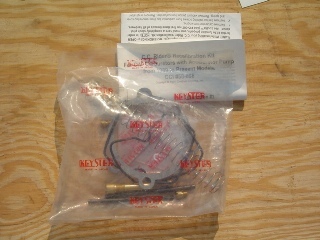 This tuning kit includes all the jets, calibrated drill bits, springs and instructions needed for installation. Helps rid the carburetor of the cold natured characteristics of the CV. Fits Big Twin and Sportster models 1989-2006 equipped with a CV with an accelerator pump.